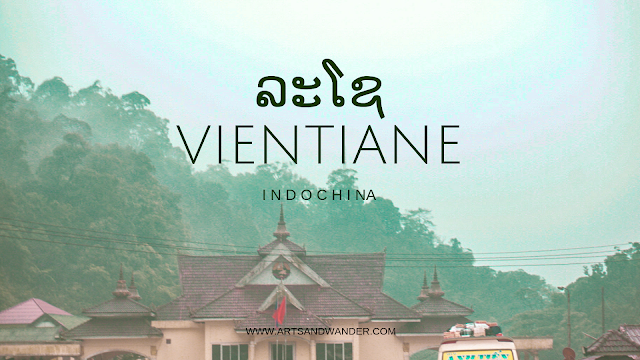 I would admit that I have no idea what Vientiane and Laos in general would look like. Compare to other popular cities and nations in the SEA region, Laos is infamous and underrated. Hence, let me introduce to you this safe and chill country in Indochina! 1. 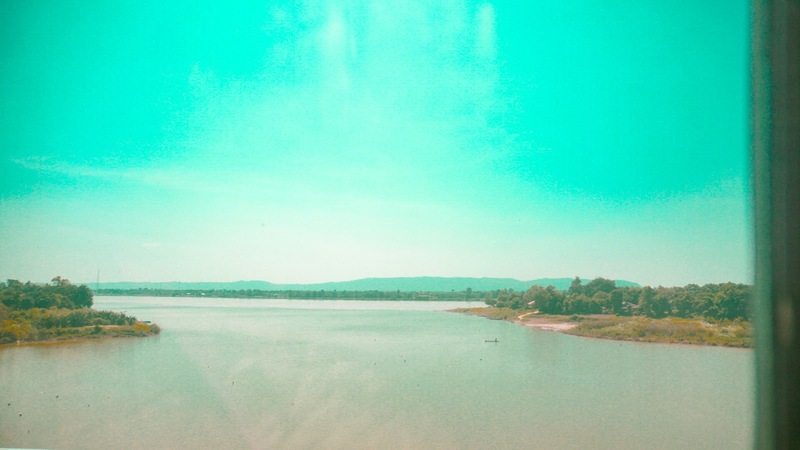 Vientiane and Laos in general is a chill country. Establishments closes early as 6pm. 2. It’s safe and laid back, their capital city sleeps. 3. Fewer establishments just erected in Vientiane, means more nature and heritage exploration. 4.Mekong river is so accessible in the capital, the 12th longest river in the world. 5. 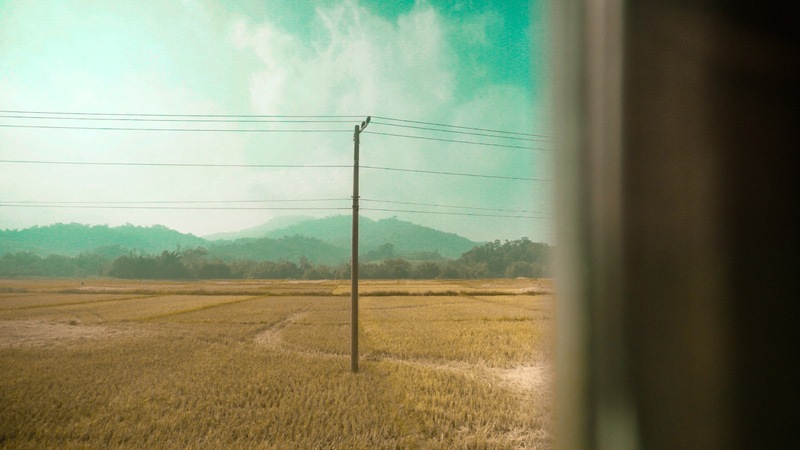 I imagine Laos as a sunny country, rice-filled scenery and red-soiled one and I’m correct. 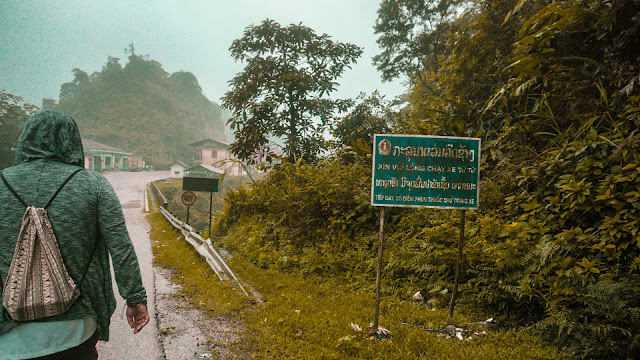 There are several entry/exit points from Vietnam to Laos and vice versa depending on your destination and origin. 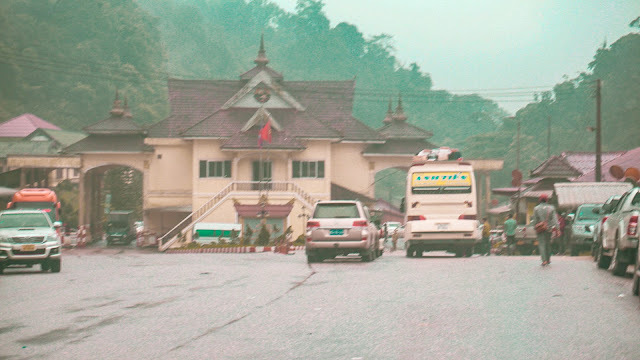 In our case, we had our entry to Laos via Nam Phao border. facility for their border checkpoints, we we cross, we saw building constructions. We talked with some locals and still tried to be quiet as possible. The authorities are also helpful. We experienced bad hospitality from our bus tour esp the conductor. 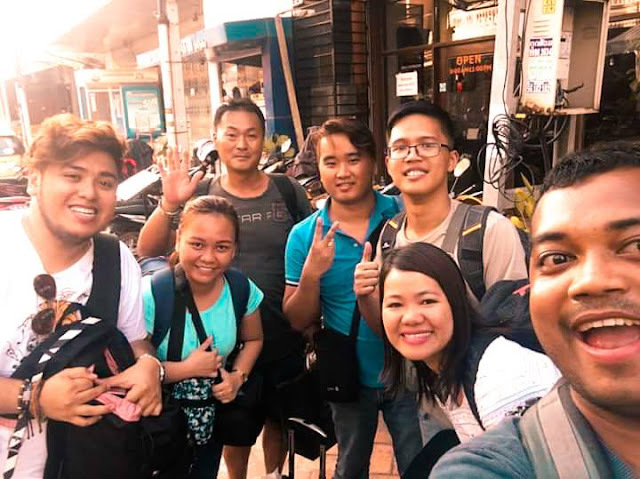 This is not only for Filipinos but the rest of the friends I met along the travel – Korean and Europeans. They dumped us at the back of the bus near the smelly bathroom. We can’t choose where we want to seat and they even shouted at us. 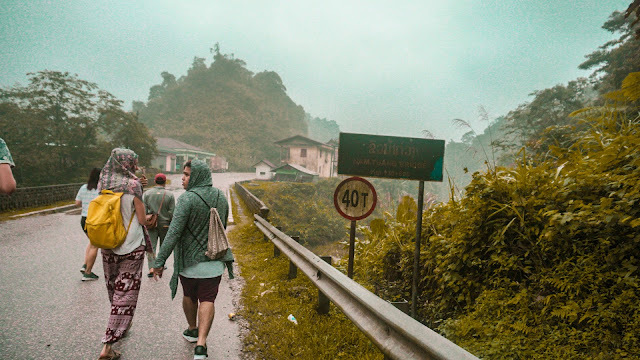 The road as we took off from bus and walked from Vietnam border to Nam Phao border. A Vietnamese man. One of my favorite pictures in the series. 1. For ASEAN countries, crossing borders are free but we were charged US$ 2.00. It’s not that big amount of money but the idea is, it’s wrong. It’s collected to all the tourists, so imagine combining them all. That’s hell a lot of money! 2.We were so scared crossing the Vietnamese immigration. They would make you feel inferior. 3.We chose not to snap photos for as we cross borders. We tried to stay calm in the tension that there might be a possibility that they would detain us and ask for money to be freed. If that would happen, the bus may not wait for you. Stay calm, be friendly and smile. That is not your territory. 4.Don’t start me with stop overs along Vietnam provinces, that is because of less choice of food, language barrier, their superiority-shouting at you and food. (I mean, Hanoi was great but the province areas are scary). 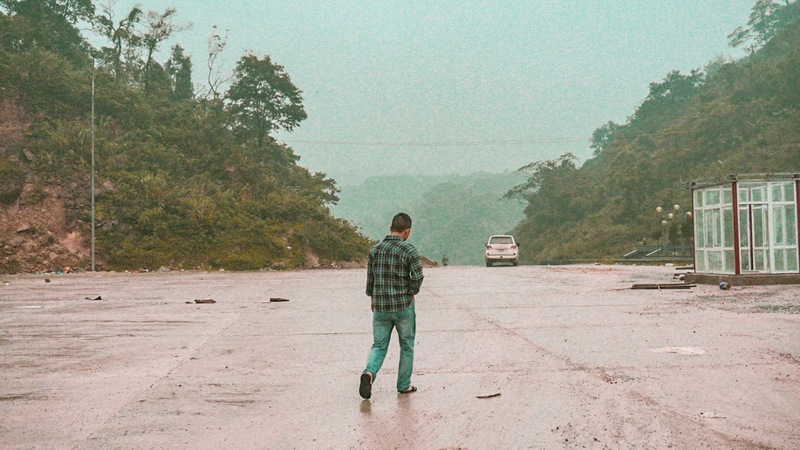 5.You would go into Laotian zigzag red-soiled slippery wilder-ed lonely cliff roads. Lots of trees, fields, river-ry and mountainous scenery. A river in Laos as we travel in our sleeper bus to Vientiane after we cross the border. If you have time, (please do have). Check options in Hanoi if you can look for different bus tour to Vientiane or any other destination from Hanoi to Vientiane to at least (maybe) avoid what we experienced. 1500: Arrived in Vientiane and that Korean friend. Filipino staffs are amazing and we were even surprised! Finally a common tongue to ask questions about! 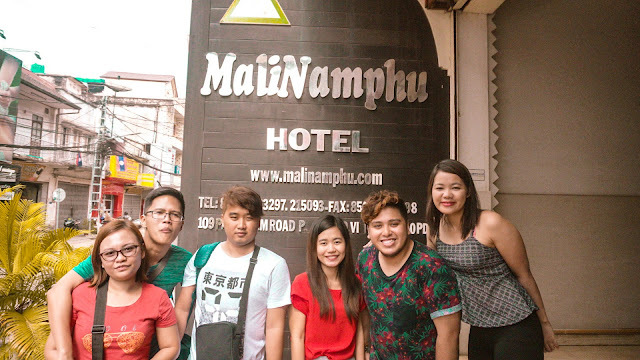 The Pinay staff in our hotel in Vientiane. The city's landmark, called the Patuxai monument. Laos is a french colonized country. This is their symbol of liberation from French and is considered the Arc De Triomphe of Asia. We had to settle ourselves after a long way of travelling! And having everything turning out to be fine after all the stress that we had inspired us to go outside the streets of Vientiane at night! 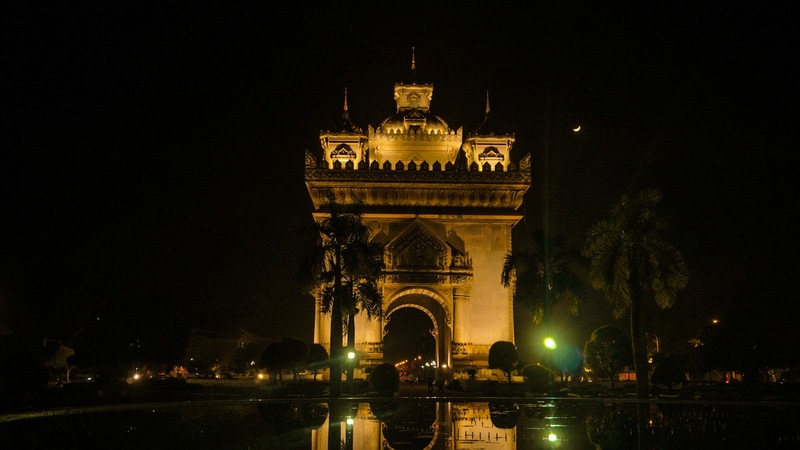 Check out my next post about the night streets and more of Vientiane, Laos. This sounds so lovely! 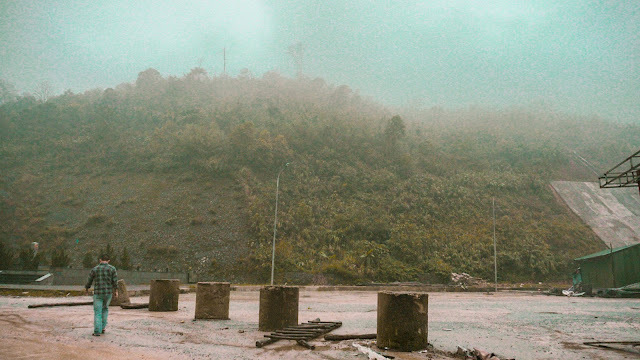 You make me want to visit, especially Laos. You should really visit the place Sandi! It's pretty cool that you got to document your journey as you cross the borders to Laos. It's interesting to see how the towns look like. It's important to know about the fees and $2 isn't bad at all, as long as it's official! That's the problem, $2 is not official. Asean countries shouldn't be paying anything because it's part of ASEAN economic agreement.